We are a team of highly experienced iPhone app developers. We are highly passionate to provide the highly secured and business-oriented iPhone apps. The essence of our development lies in client's satisfaction and we love to deliver the enthralling and feature rich applications within the promised time frame. 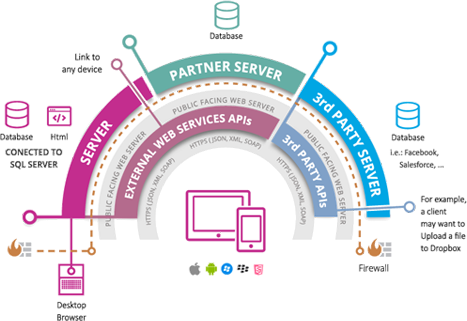 We at SynapseWebSolutions offers on-demand iOS application development and implement the required components and features to provide the alluring and feature rich applications. From enabling the application with customized push notifications, augmented reality features to the internet of things, we are dedicated to offer the trending applications which have the capabilities to create stunning impacts at iTunes store. With years of expertise in iOS app development industry, our creative and highly experienced developers can provide the best business based application as per your requirement. The sophisticated development by the team of iPhone app developers ensures smooth functioning of the required features without any hassle. For us, delivering the best quality application is the topmost concern and we never compromise with the technological advancement and security features. Being the credible player in the iOS application development industry, we always set a milestone while fulfilling the project requirement. Our developers are equipped with most modern technical skills, friendly communication behaviour and the commitment of meeting the deadline. Our expertise of project completion has stood us apart from the crowd and we are the distinguished destination for all sorts of iOS app development needs. From developing the smooth functioning user interface to all the possible customizations, we are highly eager to meet the client's specific requirements. We have the best testing team and project managers from iOS industry to ensure that our clients get the best, bug-free and feature rich applications within the promised deadline. 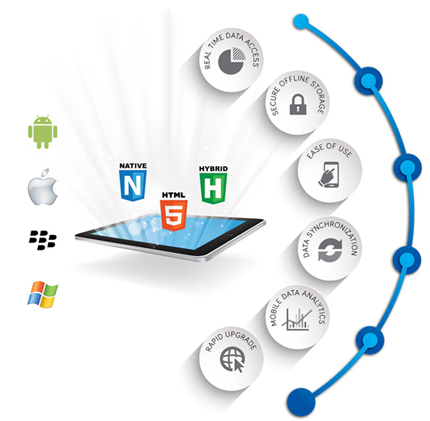 We also provide essential support to our clients even after the app gets delivered to the clients in the desired ways. The most powerful and intuitive programming language for iOS app development and most preferred for macOS, iOS, watchOS and tvOS, our developers are expert in this modern coding environment. With its simple syntax and modern programming language theory, it is also safer, faster, and more expressive. Being far better than Objective-C, Swift helps us in writing accurate codes to deliver the bug-free applications. With the approach to deliver the best user experience to the customers, we love to integrate the augmented reality technology with the iOS applications. It helps our clients in providing 3D experience to their customers. We are expert in developing applications based on AR technology and helping the gaming industry and other business verticals to earn huge revenues by getting potential users via the appealing apps developed under expert guidance. We have the expert iOS developers to develop location-based applications equipped with GPS and Beacon technology. These location-based applications help in delivering the specific user-oriented services to the global audiences. It also helps the companies in understanding the customer's behaviours and exploring the maximum possibilities for business enhancement. We enable apps with these latest and trending technologies to revolutionize the business growth in the perfect way. We are developing IoT apps as per the demand of the clients. We do the extensive research with the trending IoT apps and deliver the best application to meet the competitive demand. The Internet of Things (IoT) is a combination of cloud technologies and networks. Making lives smarter has now become feasible with various Internet of Things. Our experts are equipped with the latest technologies to deliver the best IoT apps for a smart living.